I think most people are asked to create regular project status reports. Really, status reports are the minimum expectations for project management communication. However, when communicating status, there are other elements that should be communicated in addition to a formal status report. When you communicate project status, you should include the following project management documents as well. Yes, you need to actually send a status report. This provides a recap of the project status today and communicates anything interesting that the reader should know. This report should be detailed enough to answer questions about the current health of the report, yet not-so detailed that people who read it are lulled to sleep with trivial details. Where do things currently stand with this project? What are the next steps on this project? What obstacles are in the way of this project coming to completion? What is the current state of key project metrics (schedule, budget, etc.)? The risk register is another vital report. Risks are always lurking in the background of any project just waiting to knock it off course. 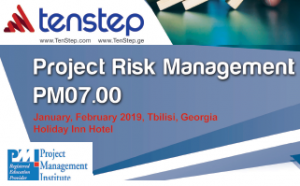 The risk register identifies those risks, quantifies the potential impact they could have on a project, and then offers mitigations plans for each of the identifies risks. The issue log report is your way of identifying, tracking and managing current problems that require help outside the project team. This log should show what is actively being done to address each issue and prioritize them by area of impact on the project. This log shows a prior and current scope change requests, and their resolution. This is important to keep the management stakeholders aware of how their scope approvals are changing the nature of the project over time. Generally you don’t want to track and report project information in two places. For example, you should place schedule and budget information on your status report. But the Status Report is for the summary information. You may have reports or logs that you are using to track schedule and budget details. If your stakeholders would like to see these details you can include your separate tracking logs. You don’t want to copy/paste this information from your detailed logs to the status report. The status report contains the summary information. If your stakeholders want to see the details, just attach the separate logs for their review.